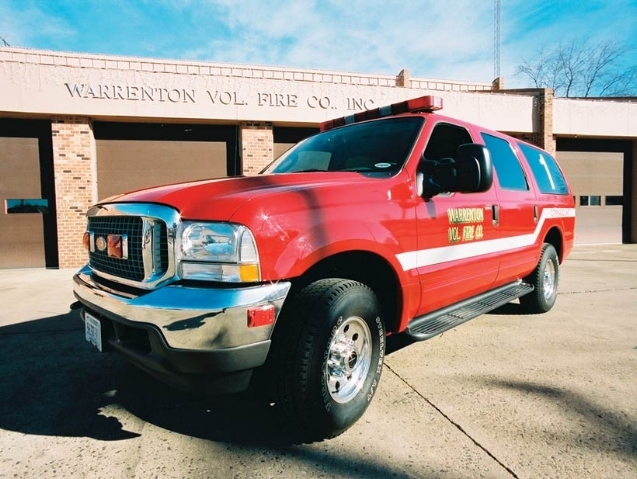 The Warrenton Volunteer Fire Company was very grateful to receive two previous donations from the Loeb Foundation in the early 2000s. We were first able to purchase a 4-wheel drive command vehicle/SUV used to help organize large/complex incidents. By having an equipped vehicle with the needed supplies, we were able to ensure the proper accountability and incident action plan(s) were handled as best as possible. Previous to this, the on-scene organization had to be handled in a variety of challenging ways. The second purchase was for truly life saving equipment known as Thermal Imaging Cameras (TICs). We were able to purchase several helmet-mounted versions of the TIC which enabled firefighters to search a dark, smoke filled room with zero-visibility – and gave them a clear picture on a small screen to see any victims through the smoke. Without the help of the Loeb grant for these items, our organization would not have been able to purchase at that time. We were very excited to receive the funding and hope we have the same opportunity from the foundation in the near future to upgrade/enhance other capabilities within our fire company.